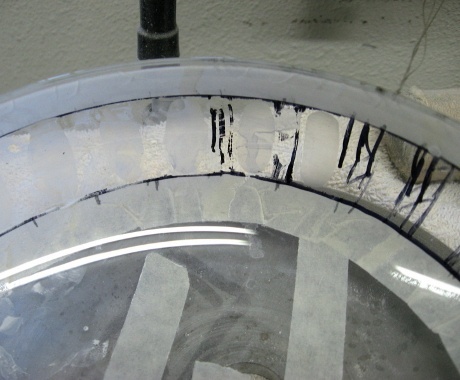 These photos show a repair we received in the shop. 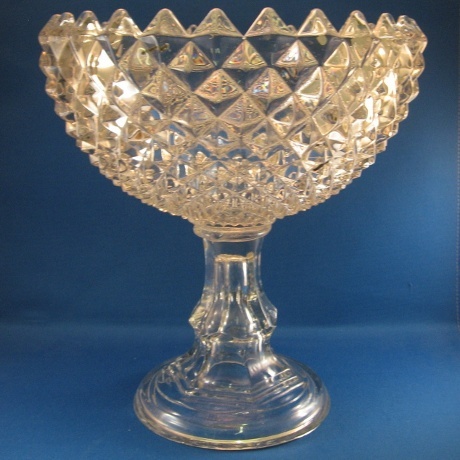 It is a pressed glass compote made in the late 1880’s to early 1900’s. 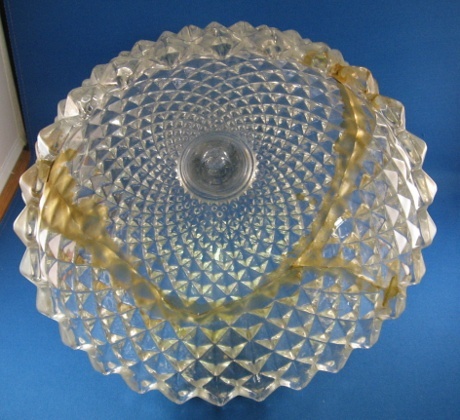 When the compote broke it was glued with mucilage. 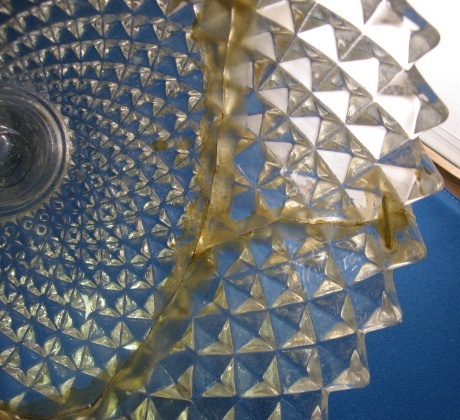 Mucilage glue is made from plants. 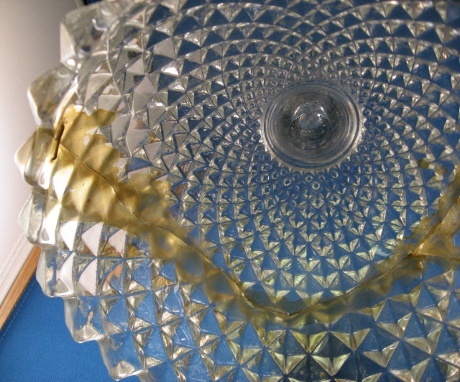 Over the years the glue has yellowed. 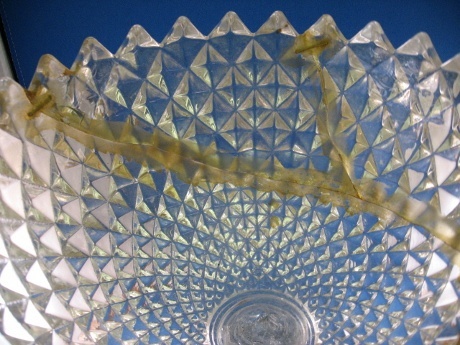 The glass sections were just not glued they were stapled with iron staples. Gluing with stapling would have been done in the early 1900’s to 1920’s. 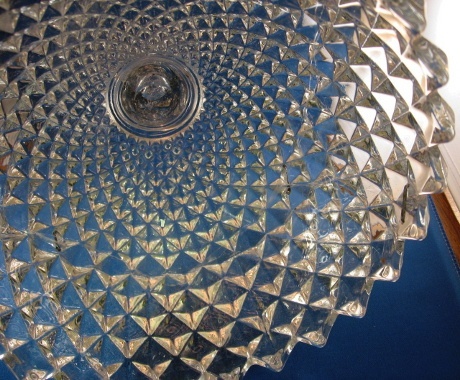 We were contacted by a customer who needed four 6″ bowls and one 8″ bowl for a sterling silver epergne. 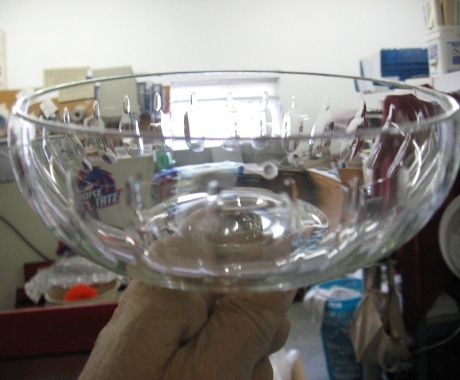 All but one of the original bowls had been damaged due to a basketball. 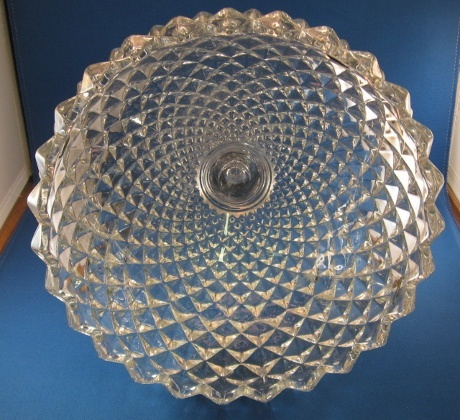 Our customer was unable to find any matching bowls that would fit the epergne. She needed to have them custom made. We contacted David McDermott of McDermott Studios who made the blanks for us. David worked for Pairpoint for many years. Now he has his own art glass studio with his wife. They are out of Sandwich, Maine. 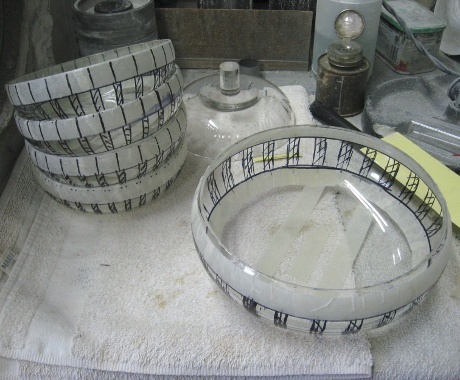 The four 6″ bowls unfinished from David. 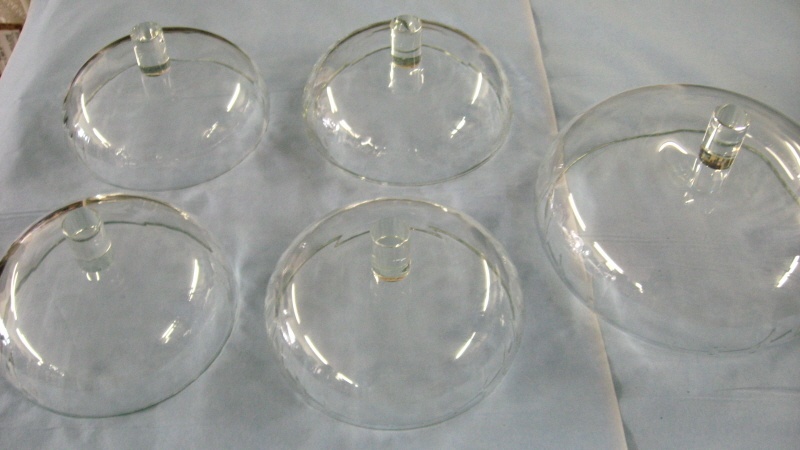 The first step is to flatten the bottoms so the bowls sit level. 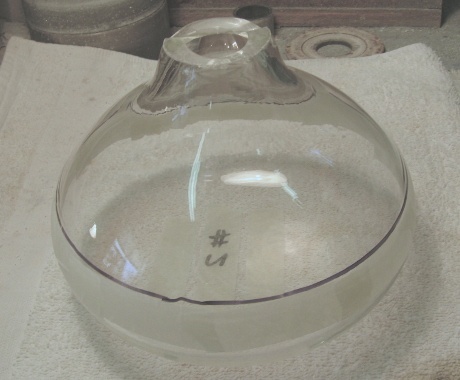 The height of the bowls is measured and marked. They are then cut to the correct height. One bowl with the cut off top. 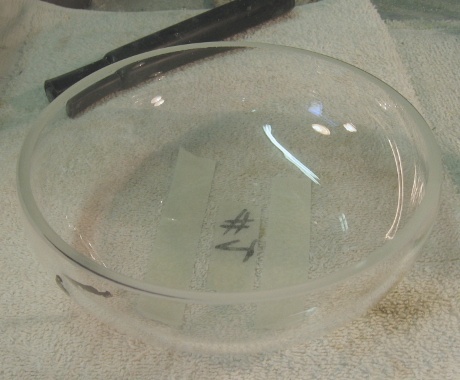 A bowl that has been cut flat and is ready to be marked for cutting with the pattern. 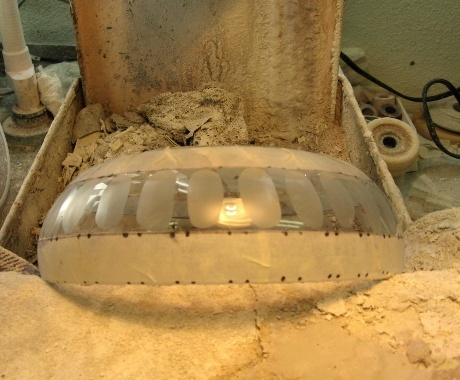 All 4 bowls are marked and the 8″ center bowl is marked with the pattern and ready to be cut. Cutting started in rough cut. The smooth cut is done. It is ready for the pumice and then followed by diamond polish with cerium. 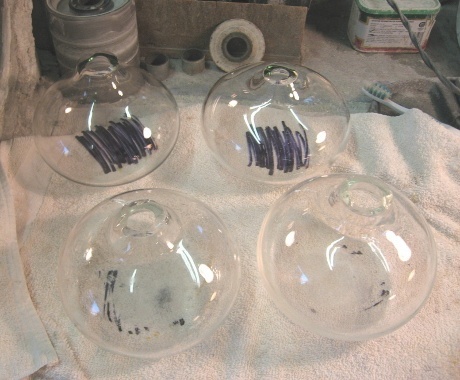 All the bowls are finished with the plugs put on the bottoms for ready insert into the sterling holders. 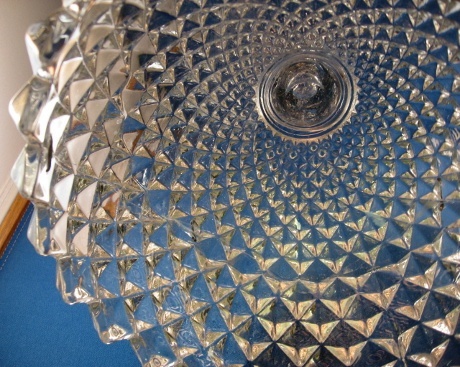 From the customer’s first inquiry to finished product was 4 months. 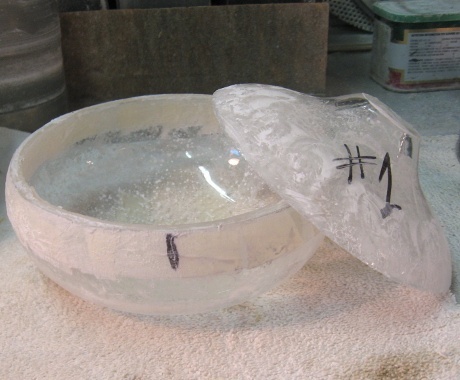 Actual preparation, cutting and polishing was 5 hours per bowl.